Wong Chin Ho - W Aesthetics Plastic Surgery - C.V.
Dr Wong Chin Ho is a Plastic Surgeon accredited by the Ministry of Health of Singapore. He graduated from the Medical Faculty of the National University of Singapore in 2000 and was one of the top students of his graduating class. He completed his Basic Surgical Training in General Surgery in 2004 and went on to complete his Advance Surgical Training in Plastic Surgery at the Department of Plastic Reconstructive and Aesthetic Surgery at the Singapore general Hospital in 2008. 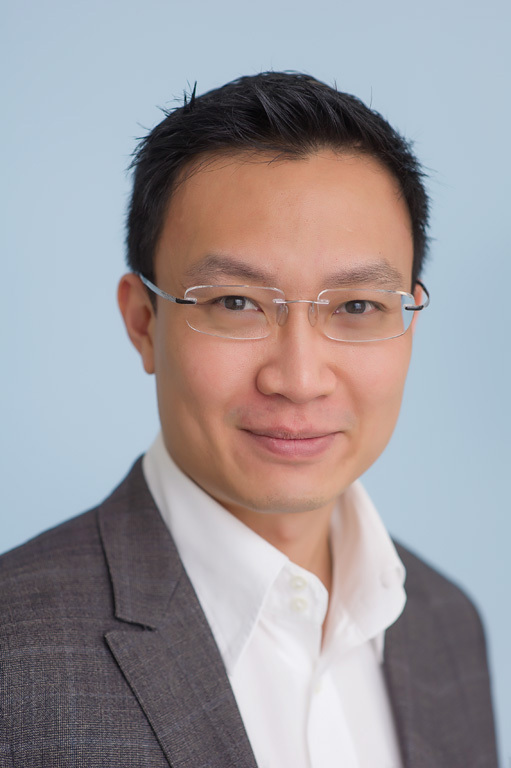 Dr Wong is fellowship trained in Aesthetic Plastic Surgery and Reconstructive Microsurgery. In 2007, under a scholarship by the Human Manpower Development Program administered by the Ministry of Health of Singapore, he went to do a 1-year Reconstructive Microsurgery and Asian Aesthetic Surgery fellowship under Professor Fu-Chan Wei at the Chang Gung Memorial Hospital in Taiwan. This was followed by a 6 month Advanced Facial Aesthetic Surgery Fellowship with Dr Bryan Mendelson in Melbourne Australia in 2009. In 2010, he was the first recipient of the International Fellowship awarded by the American Society for Aesthetic Surgery (ASAPS). This prestigious scholarship, given by leading professional organization of plastic surgeons who specialize in cosmetic plastic surgery in the USA gave him the opportunity to spend time with and learn from top American plastic surgeons throughout the USA. This extensive experience and training gave his the skills to apply the most advanced techniques in Aesthetic Surgery for his patients. Dr Wong remains passionate and actively involved in clinical and basic science research. He has published over 70 peer review articles and contributed several book chapters in key reference textbooks in plastic surgery. His research interests include facial anatomy, anatomical changes of the aging, aesthetic surgery of the Asian face and anatomy of the Asian Nose. Dr Wong is a visiting consultant to the Department of Plastic Reconstructive and Aesthetic Surgery at Singapore General Hospital. He continues to be involved in the management of complex plastic surgical cases as well as have a leadership role in the teaching of young plastic surgeons in his subspecialty of Aesthetic Plastic Surgery and Surgical Anatomy. Position: Director, W Aesthetic Plastic Surgery Pte Ltd.
July 2007 – June 2008, Microsurgery & Asian Aesthetic Surgery fellowship. Dr. Fu-Chan Wei. Chang Gung memorial Hospital, Taipei, Taiwan. December 2010 – April 2011, Travelling Scholarship in Aesthetic Plastic Surgery, the American Society for Aesthetic Plastic Surgery (ASAPS) International Fellow, United States. Dean’s List, Final Professional M.B.B.S Examination, session 1999/2000. Research Book Prize, Department of Orthopaedic Surgery, Changi General Hospital, 2003. Singapore General Hospital Scholarship, to The Department of Plastic Surgery UT Southwestern, Dallas, Tx, USA 2011. Chin-Ho Wong, Pierce KH Chow, Heng-Nung Koong, Alexander Chung, Choon-Hua Thng. Anterior Diaphragmatic Adenopathy in Primary Hepatocellular Carcinoma. Journal of Gastroenterology and Hepatology 2003 Mar; 18 (3): 352 – 354. Chin-Ho Wong, Haw-Chong Chang, Shanker Pasupathy, Lay-Wai Khin, Jee-Lim Tan, Cheng-Ooi Low. Necrotizing Fasciitis: Clinical Presentation, Microbiology and Determinants of Mortality. Journal of Bone and Joint Surgery (America) 2003 August; 85-A (8): 1454 – 1460. Chin-Ho Wong, Yu-Meng Tan, Wan-Cheng Chow, Puay-Hoon Tan, Wai-Keong Wong. Blue Rubber Bleb Nevus Syndrome: A Clinical Spectrum with Correlation between Cutaneous and Gastrointestinal Manifestations. Journal of Gastroenterology and Hepatology 2003 August; 18(8): 1000 - 1002. Chin-Ho Wong, Paul TH Thng, Fei Ling Thoo, Cheng-Ooi Low. Symptomatic spinal epidural varices presenting with nerve impingement- Report of 2 cases and review of the literature. Spine 2003 September; 28 (17): E 347 – E 350. Chin-Ho Wong. Necrotizing Fasciitis: Clinical Presentation, Microbiology and Determinants of Mortality, Letter to Editor. Journal of Bone and Joint Surgery (America) 2004; 85-A (4): 869 – 870. Chin-Ho Wong, Jee-Lim Tan, Haw-Chong Chang, Lay-Wai Khin, Cheng-Ooi Low. Knee Dislocations: Outcome of Operative Vs Closed Immobilization Treatment Outcomes. Knee Surgery, Sports Traumatology and Arthroscopy- 2004 Nov;12(6):540-4. Chin-Ho Wong, Haw-Chong Chang, Cheng-Ooi Low. Paget-Schroetter Syndrome: Case Report and Review of the Literature. The Internet Journal of Orthopedic Surgery. 2004. Volume 2 Number 1. Chin-Ho Wong, Soo-Heong Tan, Asok Kurup, Agnes BH Tan. Recurrent Necrotizing Fasciitis caused by Methicillin Resistant Staphylococcus aureus European Journal of Clinical Microbiology and Infectious Disease 2004 Dec;23(12):909-1 Epub 2004 Nov 13. Chin-Ho Wong, Soo-Heong Tan. Subacute necrotizing fasciitis. Lancet 2004; 364: 1376. Chin-Ho Wong, Pierce K.H. Chow. Posterior perforation of gastric ulcer. Digestive Diseases and Sciences 2004 Nov-Dec; 49(11-12): 1882-3. Chin-Ho Wong, Yi-Shi Wang. The diagnosis of necrotizing fasciitis. Current Opinion in Infectious Disease 2005 Apr; 18(2): 101-6. Bien-Keem Tan, Chin-Ho Wong, Robert Ng, Martin HS Huang, Seng-Teik Lee. A modified technique of percutaneous subclavian venous catheterization in the oedematous burned patient. Burns 2005 Jun; 31(4): 505-9. Chin-Ho Wong, Bien Keem Tan, Heng-Nung Koong, Chong-Hee Lim, Soo-Peng Chew, Colin Song. Use of the omentum flap as additional soft-tissue cover for abdominal wall defects reconstructed with Gore-Tex. Plastic Reconstructive Surgery 2005 Nov; 116 (6):1715-20. Chin-Ho Wong, Lay-Wai Khin. The clinical relevance of the laboratory risk indicator for necrotizing fasciitis (LRINEC) score for the assessment of early necrotizing fasciitis (Letter). Critical Care Medicine 2005 Jul; 33(7):1677. Chin-Ho Wong, Colin Song, Kien-Seng Heng, Irene H.C. Kee, Sim-Leng Tien, Priyanthi Kumarasinghe, Lay-Wai Khin, Kok-Chai Tan. Plasma free hemoglobin: A novel diagnostic test for the assessment of depth of burn injury. Plastic Reconstructive Surgery 2006; 117: 1206 – 1213. Yi-Jia Lim, Fok-Chuan Yong, Chin-Ho Wong, Agnes BH Tan. Necrotizing fasciitis and traditional medical therapy- A dangerous liaison. Annals of the Academy of Medicine, Singapore 2006; 35 (4): 270 – 273. Chin-Ho Wong, Yi-Shi Wang. What is subacute necrotizing fasciitis? : A Proposed Clinical Diagnostic Criteria. Journal of Infection. 2006 Jun; 52(6):415-9. Chin-Ho Wong, Bien-Keem Tan. Perforator-Sparing Transposition Flap for Lower Limb Defects: Anatomic Study and Clinical Application. Annals of Plastic Surgery 2007; 58 (July): 614 – 621. Chin-Ho Wong, Fangsen Cui, Bien-Keem Tan, Zhuangjian Liu, Heow-Pueh Lee, C. Lu, Chee-Liam Foo, Colin Song. Finite Element Simulations to Elucidate the Determinants of Perforator Patency during Sequential Twisting. Annals of Plastic Surgery 2007 Dec; 59(6):672-678. Bien-Keem Tan, Chin-Ho Wong. An Anomalous Septocutaneous Perforator to the Skin Paddle of the Fibula Osteocutaneous Flap Originating from the Posterior Tibial Artery. Journal of Plastic Reconstructive and Aesthetic Surgery- 2009 May; 62(5): 690-2. Chin-Ho Wong, Bien-Keem Tan. Maximizing the Reliability and Safety of the Distally Based Sural Artery Flap. Journal of Reconstructive Microsurgery. 2008 Nov; 24(8): 589-94. Bien-Keem Tan, Chin-Ho Wong, Winston Chew, Soo-Wan Hong. The preferential use of slit arteriortomy for end-to-side arterial anastomosis in free tissue transfer to the extremities. J Plast Reconstr Aesthet Surg. 2009 Nov; 62(11):1519-23. Gavin CW Kang, Jonathan Y.-L Lee, Chin-Ho Wong. Simultaneous infected pseudoaneurysm and suppurative tenosynovitis resulting from radial artery cannulation. Surg Infect (Larchmt). 2008 Aug; 9(4): 489-92. Chin-Ho Wong, Jeng-Yee Lin, Fu-Chan Wei. The Bottom-Up Approach to the Suprafascial Harvest of the Radial Forearm Flap. The American Journal of Surgery. 2008 Nov; 196(5): e60-64. Chang-Chen Chang, Chin-Ho Wong, Fu-Chan Wei. Free style free flaps Injury. 2008 Sep; 39 Suppl 3:S57-61. Song C, Por YC, Wong CH, Woo EK. Novel use of continuous topical papaverine infusion delivered via a balloon pump to help maintain vascular patency in a case of intractable arterial spasm in a smoker. J Plast Reconstr Aesthet Surg. 2008; 8: 988 – 989. Chin-Ho Wong, Huang-Kai Gao, Brian Fu, Jeng-Yee Lin. A cautionary point on the harvest of the anterolateral thigh myocutaneous flap. Annals of Plastic Surgery 62(6): 637-639, June 2009. Chin-Ho Wong, Chih-Hung Lin, Brian Fu, Jen-Feng Fang. Reconstruction of complex abdominal wall defects with free flaps: Indications and outcome Plastic Reconstructive Surgery. Plast Reconstr Surg. 2009 Aug; 124(2): 500-9. Chin-Ho Wong, Fu-Chan Wei. Microsurgical free flaps for head and neck reconstructions. Head and Neck. 2010 Sep; 32(9): 1236 - 45. Review. Pearlie WW Tan, Chin-Ho Wong, Yee-Siang Ong, Colin Song. The Use of Urgotul in the Treatment of Partial Thickness Burns and Split Thickness Skin Graft Donor Sites: A Prospective Control Study. Int Wound J. 2009 Aug; 6(4): 295-300. Chin-Ho Wong, Yee-Siang Ong, Bien-Keem Tan, Colin Song. The fibula osteoseptocutaneous flap incorporating the hemi-soleus Muscle (FOCHS Flap) for complex head and neck defects: Anatomical study and Clinical applications. Plast Reconstr Surg. 2009 Dec; 124(6): 1956-64. Chin-Ho Wong, Fu-Chan Wei. The anterolateral thigh (ALT) flap. Head and Neck. 2010 Apr; 32(4): 529-40. Review. Chin-Ho Wong, Bien-Keem Tan. The three-step-approach to the harvest of the fibula osteoseptocutaneous flap. Journal of Trauma 2010 Aug; 69(2): 459-65. Jonal Kua, Chin-Ho Wong, Siew-Weng Ng, Kok-Chai Tan. The island pedicled anterolateral thigh flap (pALT) via the lateral subcutaneous tunnel for recurrent ischial ulcers. Journal of plastic reconstructive and aesthetic surgery 2011 Jan; 64(1): e21-3. Song Colin, Munzhi Wong, Chin-Ho Wong, Yee Siang Ong. Modifications of the radial forearm flap phalloplasty for female-to-male gender reassignment. J Reconstr Microsurg. 2011 Feb; 27(2):115-20. Bryan Mendelson, Chin-Ho Wong. Changes of the facial skeleton with aging: Implications and clinical applications in facial rejuvenation. Aesthetic Plastic Surgery. 2012 Aug; 36(4): 753-60. Munzhi Wong, Chin-Ho Wong, Vincent Tay. Surgical anatomy of the medial sural artery perforator flap. Journal of Reconstructive Microsurgery: 2012 Oct;28(8):555-60. Tan BK, Terence G, Wong CH, Sim R. Lower gluteal muscle flap and buttock fascio-cutaneous rotation flap for reconstruction of perineal defects after abdomino-perineal resections. J Plast Reconstr Aesthet Surg. 2012 Dec; 65(12):1678-83. Complex Ligamentous Knee Injury: A Retrospective Study Comparing Operative and Closed Immobilization Treatment Outcomes. Presented at the 3rd Basel International Knee Congress, 27 - 29 January 2003, Convention Center Basel, Switzerland. Risk Stratifying Strategy in the Management of Necrotizing Fasciitis using a Novel Inflammatory Index. Presented at the 38th Congress of the European Society for Surgical Research (ESSR), Ghent, Belgium, May 28 – 31, 2003. LRINEC (Laboratory Risk Indicator for Necrotizing Fasciitis) Score: A Tool for distinguishing Necrotizing Fasciitis from other benign Soft Tissue Infections. Presented at the Society of University Surgeons (SUS) 65th Annual Meeting, St. Louis, Missouri, USA, 11th to 14th Feb, 2004. Group B Streptococcus necrotising fasciitis: an emerging disease? Presented at the 14th European Congress of Clinical Microbiology and Infectious Disease (ECCMID), Prague, Czech Republic, May 1st to 4th, 2004. Total reconstruction of the large abdominal wall defects with Gore Tex and Omentum flap. 21st Annual Meeting of the American Society for Reconstructive Microsurgery (ASRM), Fajardo, Puerto Rico. Use of soleus musculocutaneous perforator for skin paddle salvage of the fibula osteocutaneous flap: Anatomical study and clinical confirmation. 10th Congress of the European Society of Plastic, Reconstructive and Aesthetic Surgery (ESPRAS) 2005 Vienna, August 30th – September 3rd 2005. Use of soleus musculocutaneous perforator for skin paddle salvage of the fibula osteocutaneous flap: Anatomical study and clinical confirmation. 9th International Course on Perforator Flaps, Barcelona, October 5th – October 8th 2005. The use of Urgotul in the treatment of partial thickness burn and split thickness skin graft donor site: a prospective control study. 5th Asia Pacific Burn Congress, November 4 – 7, 2005, Shanghai, China. Finite Element Simulations to Elucidate the Determinants of Perforator Patency during Sequential Twisting. Plastic Surgery Senior Residents Conference will be held February 1 through 3, 2007, in. Pasadena, Califonia. The American Society for Aesthetic Plastic Surgery (ASAPS) Annual Meeting, Javits Convention Center in New York City April 19-24, 2007. Open and Closed Precision Rhinoplasty – A Cadaver Workshop, April 19, 2007, Javits Convention Center in New York City April 19-24, 2007. 25th Annual Dallas Rhinoplasty Symposium: Advances and Controversies in Rhinoplasty, March 6 through 9, 2008, at the Ritz-Carlton, in Dallas, Texas. The 2009 Workshop of Aesthetic Facial Anatomy, November 13 through 14, 2009, Melbourne, Australia. Title: Changes of the facial skeleton with aging. The 2010 Melbourne Advanced Facial Anatomy Course (MAFAC), Nov 2010, Melbourne, Australia. The 2011 Melbourne Advanced Facial Anatomy Course (MAFAC), Nov 2011 Melbourne, Australia. The 2012 Melbourne Advanced Facial Anatomy Course (MAFAC), Nov 2012, Melbourne, Australia. Restoring a Positive Image after Cancer. Reconstructive Surgery in Cancer. 31st March 2007. National Cancer Center, Singapore. Volunteer Member, Singapore International Foundation surgical mission to Surabaya, Indonesia. Host: Department of Plastic and Reconstructive Surgery, Airlangga University School of Medicine, Dr Soetomo General Hospital. March 23 – 25 2009. Volunteer member, Plastic Surgery Medical Mission to Tashkent, Uzbekistan, 24 – 27 August 2006.